Regarding the enormous success with the project in the Meatpacking District in New York, the city of Madrid decided in 1996 to turn their former slaughterhouse and livestock market into a Cultural Center. 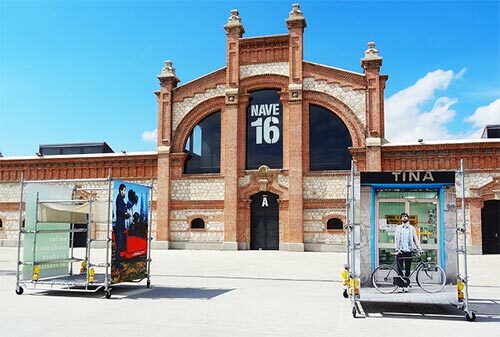 The Matadero Madrid is a space devoted to creativity. It’s a training center, a gallery, a convention center, and a theater; it’s simply a place for contemporary art and culture. The original building dates from 1911 and was consider one of the most singular building of the 20th century in Madrid. The architectural transformation of the Matadero Madrid has been also awarded by the critic, regarding the great implementation of the space with its new function. Nowadays, there are 13 buildings reconstructed of the original 68. Each building has a specific function. The most visited ones are Casa del Lector –The readers House- a place dedicated to promote reading and literature, the Cinematheque and Nave de la Música. This last building hosts the entire institution music program, including a radio station, concerts, a professional recording studio and classrooms. There is also a theater, called Naves del Español, a space for contemporary national drama shows.